$99 per Calendar Year - No Monthly Fee! 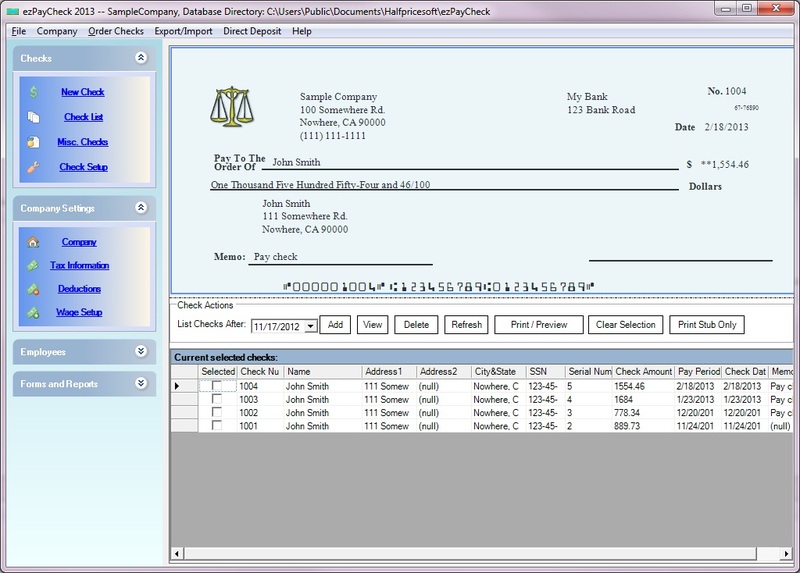 ezPaycheck is an easy-to-use payroll software designed with small businesses in mind: simple, reliable and affordable. 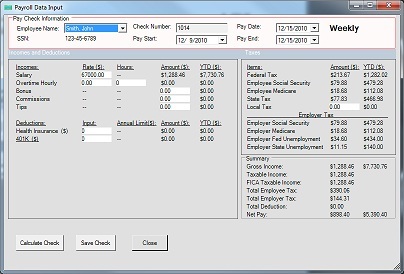 Our developers designed it to be a right in house payroll tax solution for small businesses to calculate taxes, print paychecks for employees & contractors, generate reports and print tax forms. No internet connection is needed. Trusted by Thousands of Successful Companies Since Year 2005. 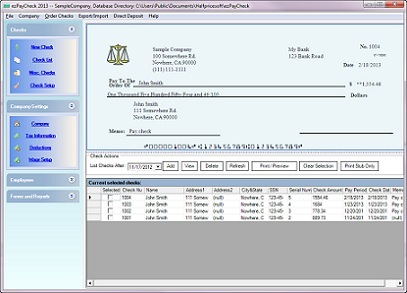 This easy to use small business payroll software works on Windows 2003/Vista/7/8/8.1/10, 32-bit/64-bit system or MAC machine installed with Boot Camp, Virtual Machine or Parallels. 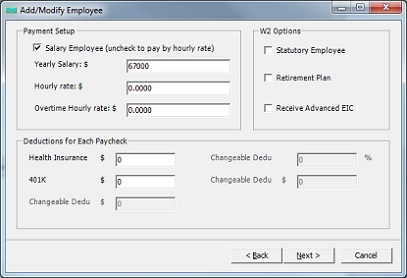 You can use ezPaycheck with ezACH or other applications for employee payment deposit and tax deposit. Note: The software on the CD is the same as the one you download from our site. The CD option does not include the license key. If you can download this software from our site, you do not need the CD. You can purchase the license key only. The CD is for the users who cannot download software or who wants to keep a hard backup copy. 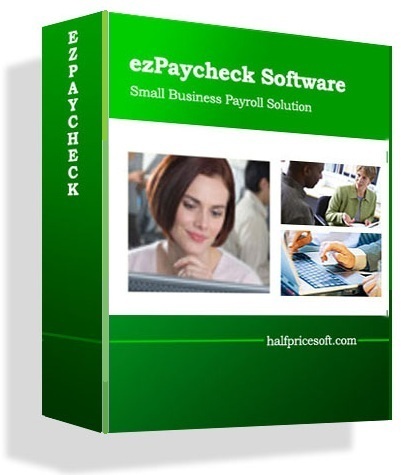 ezPaycheck payroll software for small business is designed with simplicity in mind. 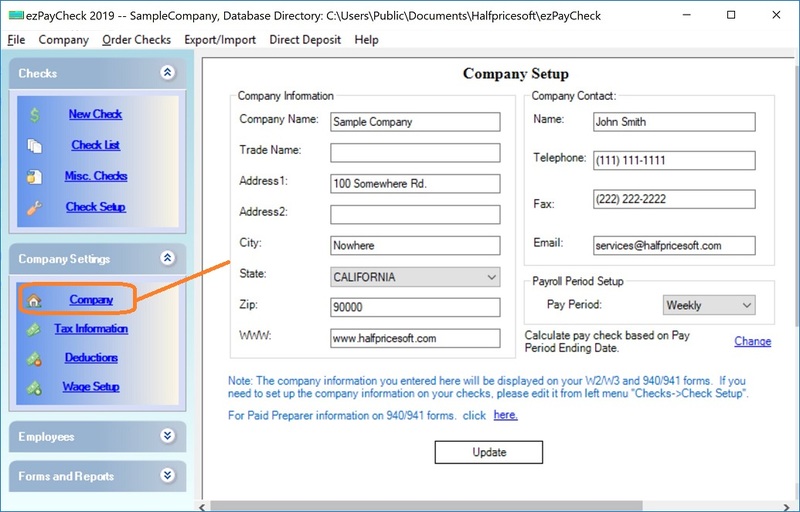 It is easy to use even for people without accounting background. 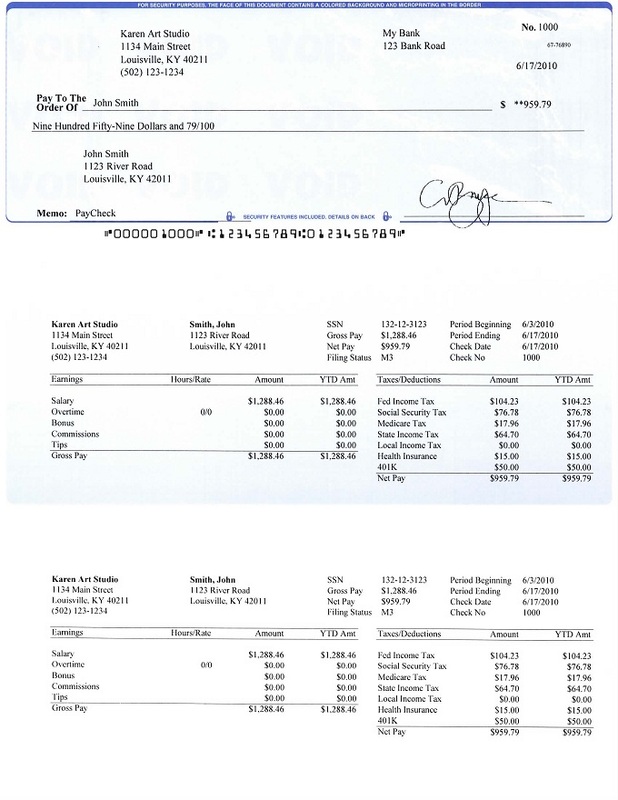 Once you install this paycheck software on your machine, you are ready to click the Add button to add your first paycheck. 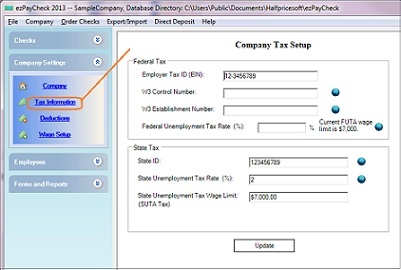 You can go through the following steps to customize it for your company. Click the left menu "Company Settings->Company". 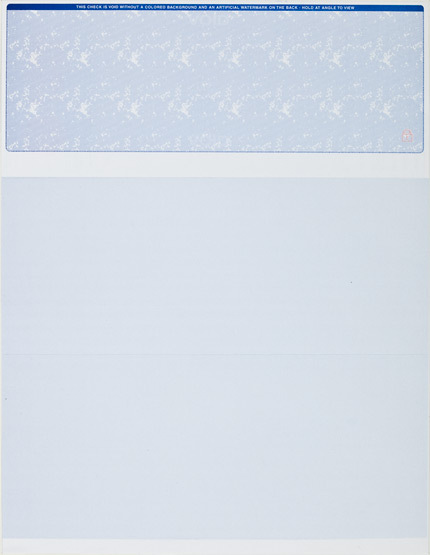 Select pay period. 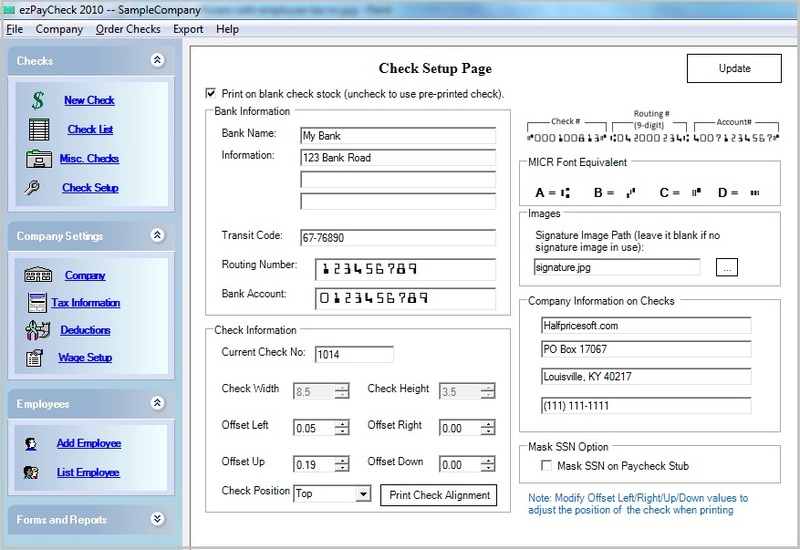 ezPaycheck can support daily, weekly, biweekly, semi-monthly and monthly pay periods. 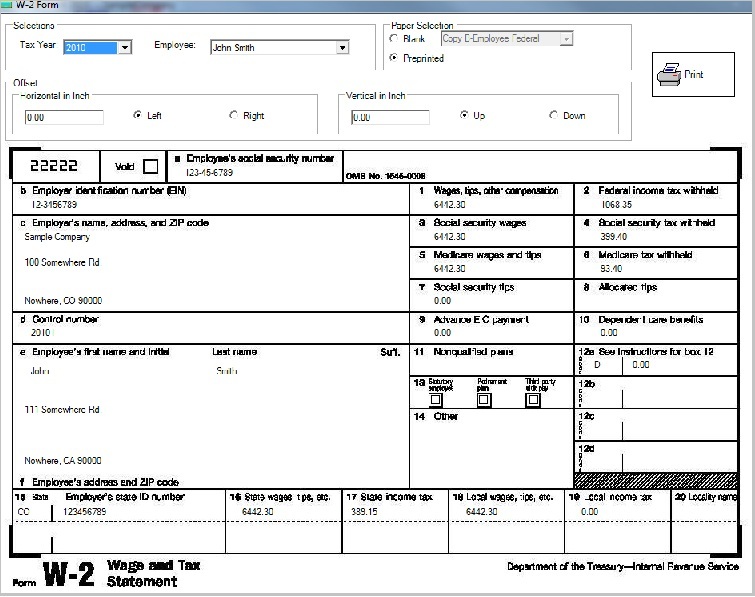 Click the left menu "Company Settings->Tax Information". 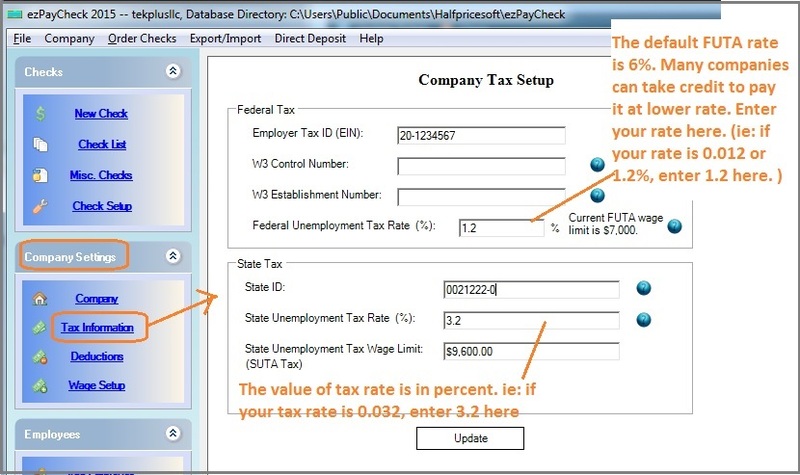 Enter company State ID, State Unemployment Tax rate. 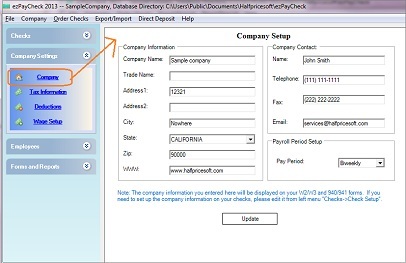 Click the left menu "Checks->Check Setup". 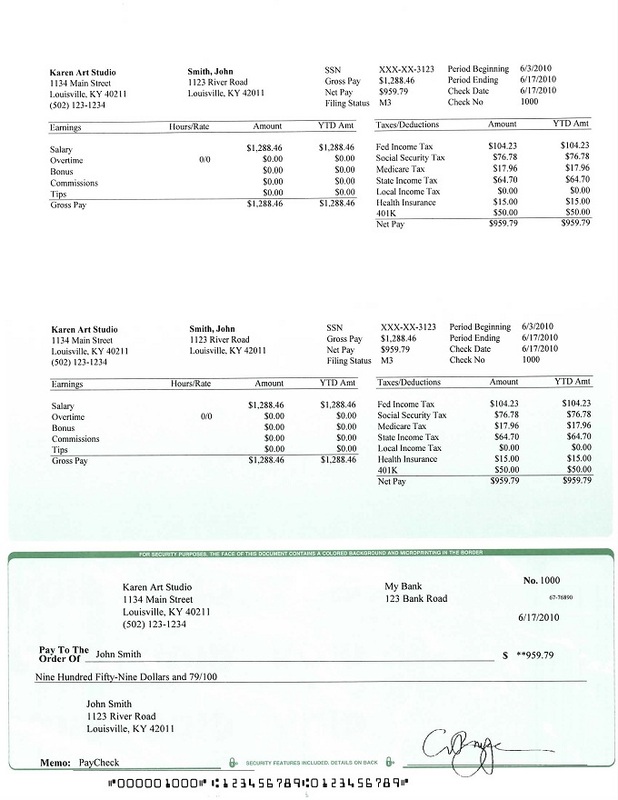 Specify check paper type: Pre-printed check or blank check stock. 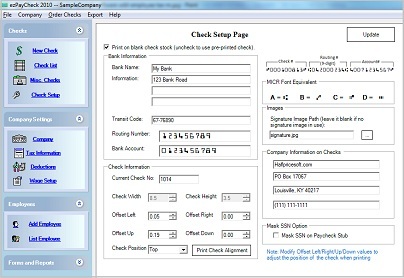 Select check format: Top, middle or bottom. 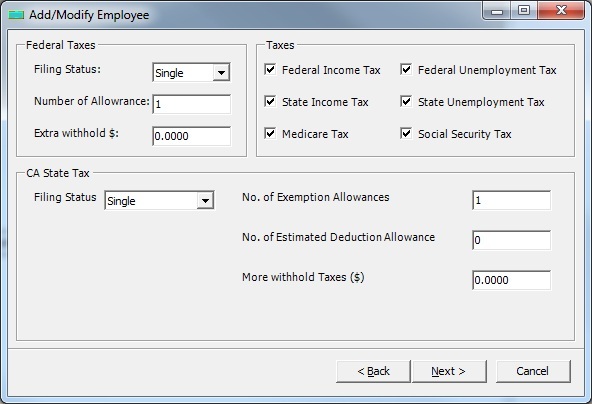 Click the left menu "Employee->Add Employee". 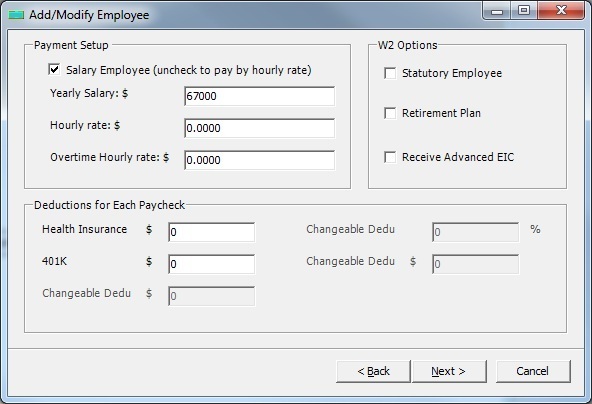 Employee can be paid by yearly salary or hourly rate. 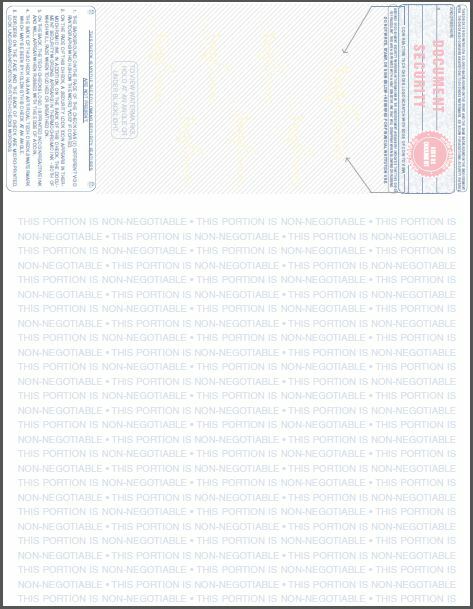 Click the left menu "Checks->New Check". 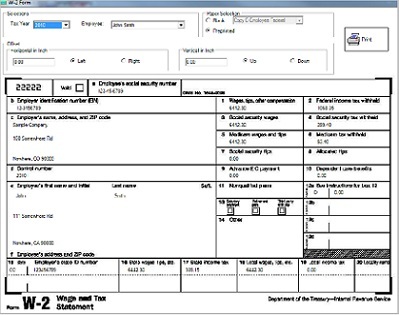 ezPaycheck will calculate the federal taxes and state taxes automatically. 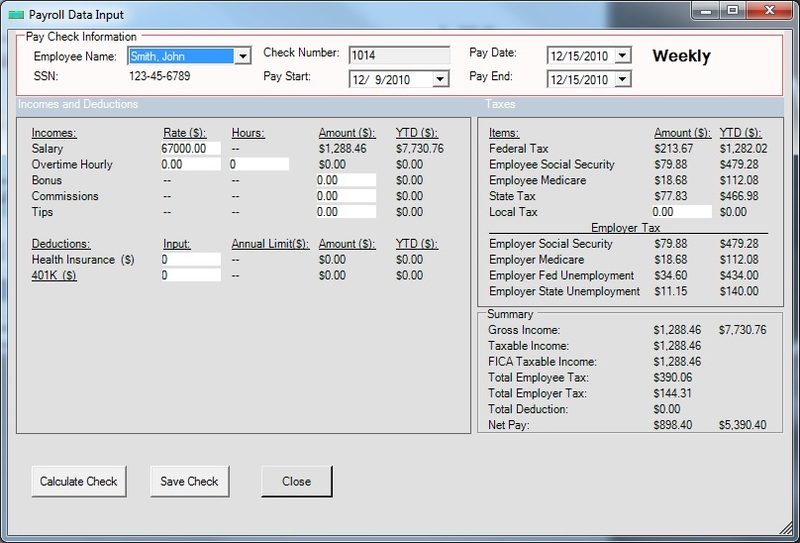 You can select the paychecks from check list to preview or print. 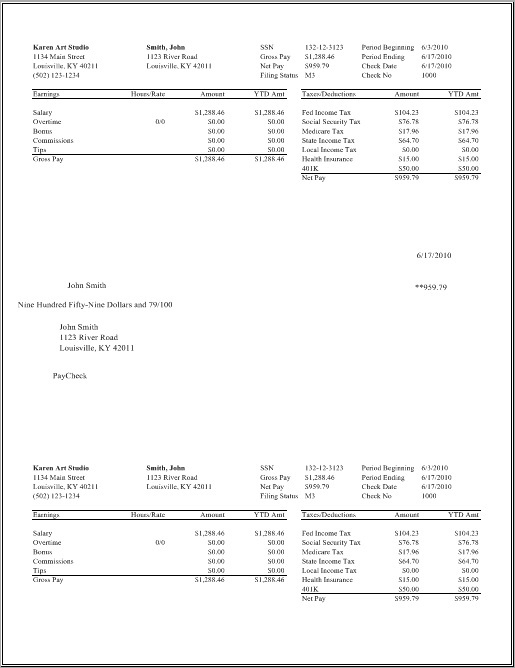 Supports employer reports and employee reports.